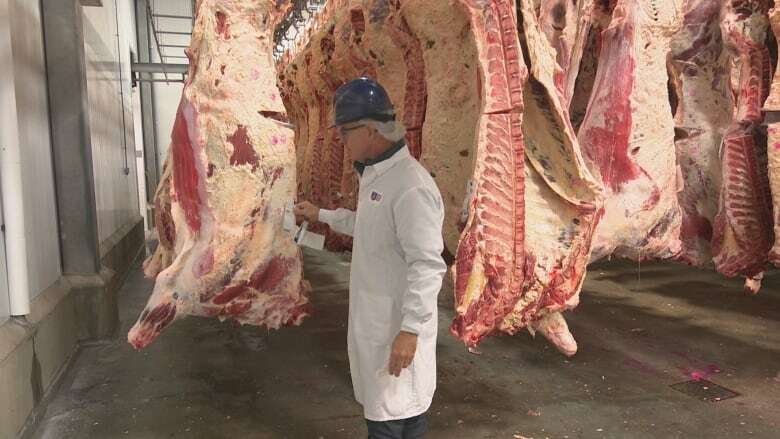 Expansion plans are in the works for the Atlantic Beef Products plant in Albany, P.E.I. President Russ Mallard said the plant has gone from operating at about half capacity to a little over full capacity in the last couple of years. Mallard said business in the Ontario and Quebec markets has continued to grow. Representatives from the plant were in Toronto this week promoting new products at the Restaurants Canada trade show. Mallard said the company plans to expand the beef plant to add more room for finished goods. "In other words, we want to add a new cooler for that. We would also like to add an additional cooler which we would call a hot box. And that hot box cooler allows us to process more cattle and chill them down so we can produce more in a week." Canadian Food Inspection Agency regulations will have to be met first, Mallard said, but they would like to break ground this summer. The plant employs about 120 people, and five to 10 new jobs could be created with the expansion, he said.